I was looking for an easy dessert with chocolate and ice cream. 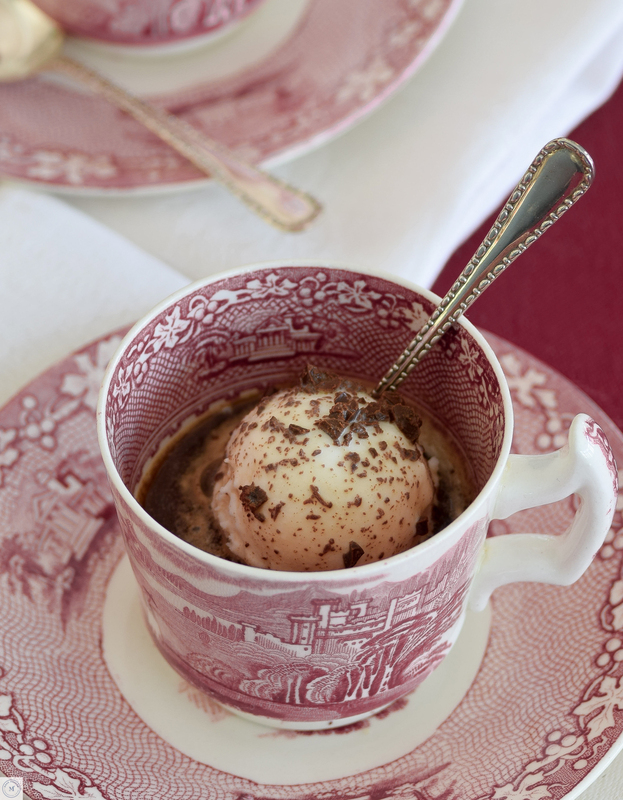 Affogato Mocha is a typical Italian way to enjoy ice cream. The ice cream is drowned in espresso and another liquid topping. I chose rum as my other liquid. It is simple and refreshing. Divide ice cream among four dessert bowls or coffee cups, I used demitasse cups. Spoon two tablespoons each of chocolate, espresso and rum over the ice cream and serve immediately.